Everyone feels glum upon hearing the news former First Lady Barbara Bush has died. The vast majority did not personally know her but it seems we all, in some way, feel connected to her. She would have sat for a cup of coffee, kicked off her shoes, and been able to chat with ease—and laughed heartily, too. That is how I always imaged her. Someone on the national stage and yet accessible as a person if the opportunity had arrived. 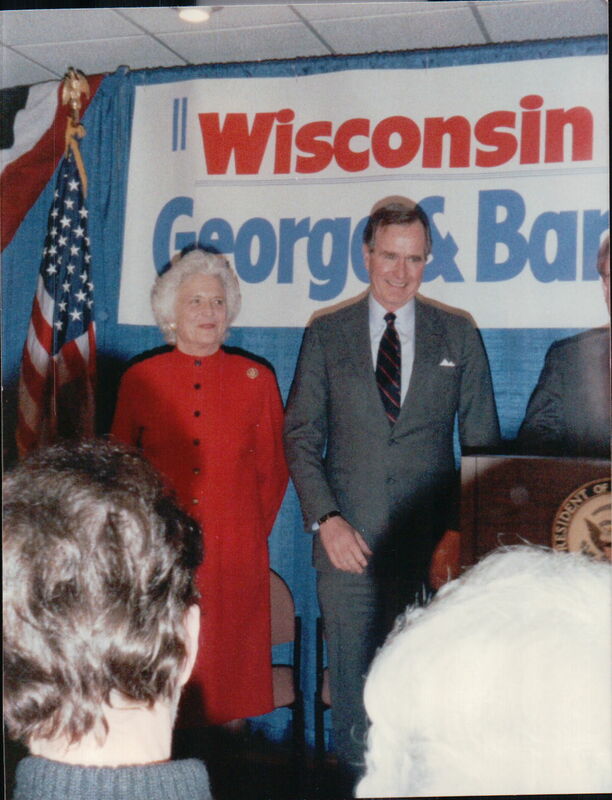 Of all the politicians who have some to Wisconsin George and Barbara Bush were the ones I saw most often, and were able to ‘press the flesh’ with on rope lines. I can assure you, having grown up in rural Wisconsin, and reading history books about national politicians and their families, that my first encounter with a major politician was most memorable. It was a spring Saturday morning in 1988 at Madison. I was standing alongside staunch Republicans while having the time of my life. The presidential primary was nearing and Vice-President Bush was sparring for votes with Senator Bob Dole. On the stage in the hotel stood George and Barbara Bush. I had never before been so close to such a powerful couple. Of course many in the crowd were chatting about the woman who stood and smiled, waving at times here and there at people she recognized. It was following the address Bush made to the party faithful when people pressed forward and handshakes were given by the Vice-President and Mrs. Bush. I was truly thrilled as a young politico to shake each of their hands. 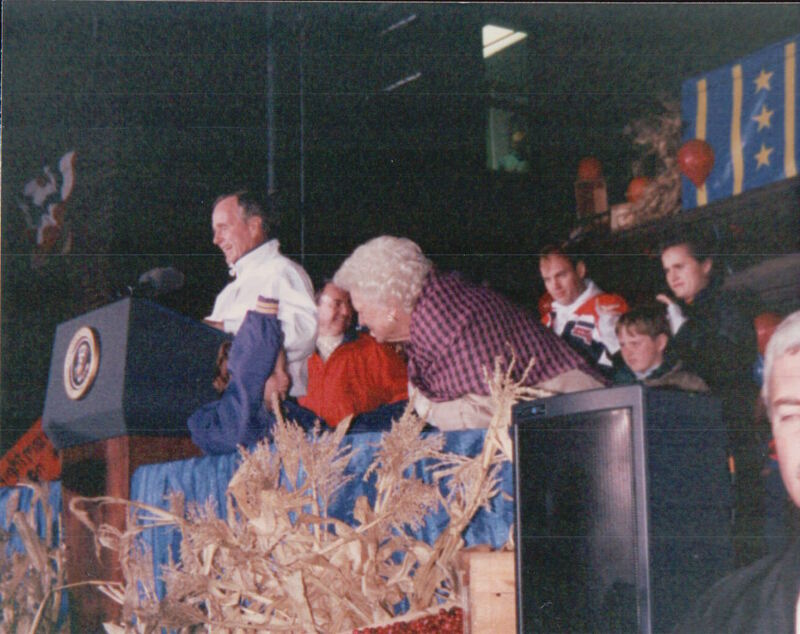 The most politically romantic campaign rally I ever attended–and grasping fully nothing of its kind will ever compete–was on October 31, 1992 when President Bush and the First Lady made an old-fashioned whistle stop in Stevens Point, Wisconsin. It was a cold and blustery day across Wisconsin. Light snow flurries swirled through the air as many thousands stood for hours at the old train depot. The presidential campaign that year was winding down, and President Bush was campaigning with David McCullough’s latest book “Truman ” in his hand while reminding voters that he too could win the election as Harry did in 1948. In spite of the polls there were still campaign stops to be made as Bush was working over-time at trying to making his Truman moment come true. At about 5:00 P.M. off in the distance the lonesome sound of the train whistle was heard and the crowd exploded with cheers. As the big locomotive brought the long line of train cars into the depot the President and his family were waving and ready to embrace the folks who were fully-charged for a campaign pitch. There were many of the Bush grand kids bouncing about with exuberance and Barbara was doing her best to keep them somewhat under control. While nothing will ever surpass that event for political charm there was one other rally that stands out as it was the first time I was able to shake hands with a President and First Lady. My nephew, Troy, and I drove to Waukesha in the fall of 1992 for a large outdoor Bush rally. We arrived a bit late, and were stuck way in the back of the crowd. I really wanted to be the best uncle possible so following the impassioned plea for re-election I took the lead along the perimeter rope line as we edged our way through the throngs. We maneuvered ourselves until up front along the roped section not far from the podium. It was there we waited for a couple minutes and then the hands of a President and First Lady were making contact to our right. And then it was our turn! There are no words to describe the feeling of pressing the flesh with a president. I recall looking into his eyes. 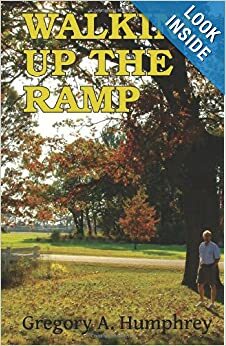 And it goes without saying the warmth and smile of Barbara as she moved along the line created the feeling as if she could linger and the conversation would be instantaneous and easy. Barbara Bush was not a politician but had the first ingredient required—an ability to connect with people. That is what makes us all feel sad upon hearing about her death.